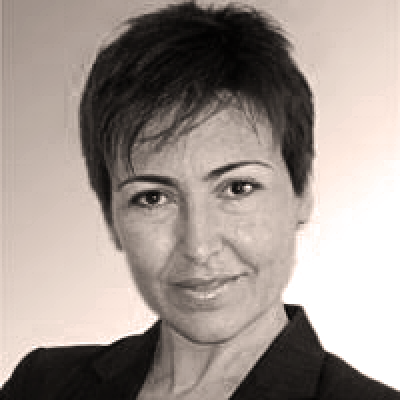 EXECUTIVE COACH -- Renata Veloso Antunes has 13 years of professional experience as Entrepreneur and Business Consultant, having performed in the following areas: knowledge brokerage; operations and general management; project coordination and management; dispute management; contract management; executive coaching; business strategy consultancy. Her coaching style is approachable, yet challenging. She’ll challenge you to exercise your reasoning, feeling, and sensing abilities to enhance your awareness, effectiveness and self-satisfaction. As a Coach and Organizational Culture specialist, she has served different key senior executives and Senior Leadership Teams of companies such as PepsiCo Foods, The Coca Cola Company, Siemens, GE, TIM, CISCO, Citi, KPMG, and GCBA (Buenos Aires City Government), amongst others. Renata supports people in dealing with complexity and ambiguity through connecting with core values and operating from a sense of personal coherence. Renata has trained in Conscious Business Application Coaching at Axialent Argentina and is also an Ontological Coach. Her work assists others in enhancing self-awareness and improving one’s ability to make conscious choices and courageously embrace their response-ability. Certified Coach on Hogan System Assessments and LSI (LifeStyles Inventory). Post-graduate studies in Organizational Coaching and Culture Transformation in Organizations. Specialized in Individual, Team and Organization quantitative and qualitative diagnostics for culture assessment and strategic transformation. Renata is also certified in The Leadership Circle 360 Assessment, Hogan, and LSI Assessment Tools. She is fluent in Portuguese, Spanish, English, and Catalan. Renata has a B.S. Social Communications, Pontificia Universidade Catolica do Rio de Janeiro. She is also a PhD Candidate in Social Communications, Universidad Autonoma de Barcelona. Renata has worked with companies such as the Coca Cola Company, Buenos Aires Municipal Government (Technology and Health Care Services), PepsiCo Foods, TIM Telecommunications, Henkel, BBVA Bank, and Banco Galicia. Designed and delivered long and short term leadership development programs for GE Health Care, TIM Telecommunications, Banco Galicia, Direct T.V. Team Development work focused on Strategic Alignment, Communication, Influence, Emotional Intelligence, and Systems Learning. Developmental and Situation Coaching Assessments, Development Planning, Coaching and Success measurement with companies such as Direct T.V., Gobierno Cuidad de Buenos Aires, Trial Panel, Panalpina, GE Health Care, and Siemens. Conducted Leadership Development and Coaching: Banco Galicia, BBVA, Citibank.